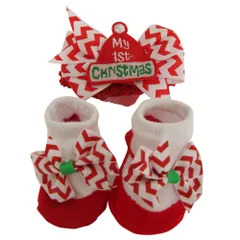 Baby headband and socks set. Elasticated headband with bow detail. 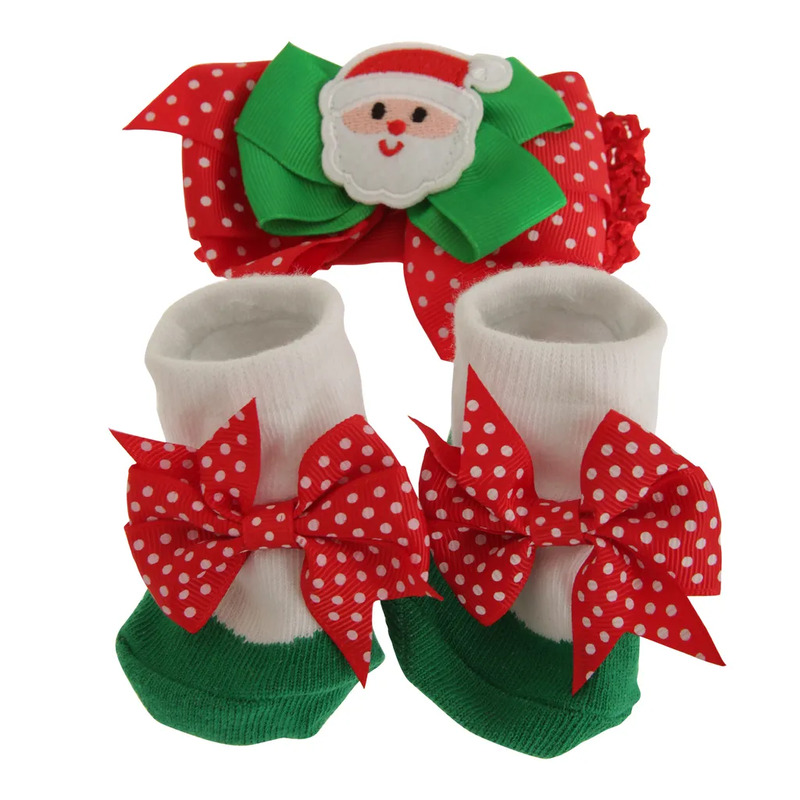 Packaged with gift bow and To and from tag. 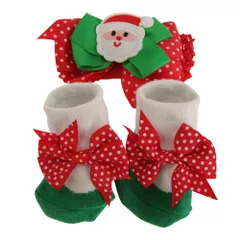 Headband: 95% Polyester/5% Rubber, Decoration: 100% Polyester, Socks: 81% Cotton/11% Nylon/6% Polyester/2% Spandex, Bow: 100% Polyester.